Everywhere you go in the hustle and bustle of Tokyo and around Japan you are bound to, at one point of your day be offered a small pack of tissues by a complete stranger near a train station. During the winter months this can prove to be very handy especially if the cold temperatures have given you the sniffles. So who are these tissue people who save the noses of passers-by every single day? Well they are not just generous strangers….there is another motive to their actions. If you take a closer look at the tissues they have an advertising insert in the clear packaging, companies like travel agencies, consumer finance companies, fitness clubs, optical chains, banks and drinking spots and restaurants use these tissues as an alternative to distributing leaflets. Over 4 Billion of these tissues are handed out yearly throughout the country! So why tissues I here you ask? Well if you think about it the answers pretty clever. 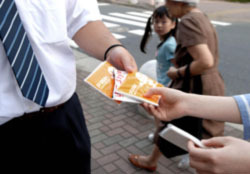 If you are handed a leaflet the chances are you might just toss it away without even looking at it. So what is something you are likely to keep in your bag or pocket and look at regularly, tissues! 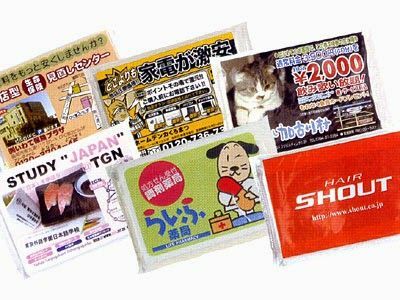 In Japan, tissue-marketing is a proven and inexpensive way to advertise. 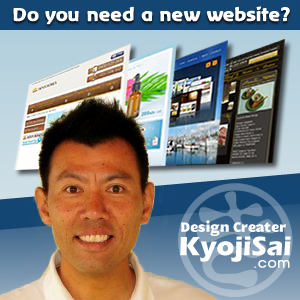 For a cost of as little as ¥10 to ¥25 you can get your message directly into the hands of potential customers. What’s more, consumers who accept the tissues are likely to actually read your advertisement every time they open the pack and if you’re lucky, they’ll look it over several times before the tissues are used up. Up to 75% of people are said to accept these free tissues if offered, that’s a huge amount of people. So many of these tissues are handed out on a daily basis that the market in stores for pocket tissues is virtually non-existent. So there you go, yet another ingenious idea from Japan. Also very handy for your runny nose!